CBC is reporting that "The Liberal government has tabled legislation to end the prohibition on pot, checking off a major promise from the 2015 campaign. The pot plan comes with two new bills; one to regulate the recreational use, sale and cultivation of marijuana, and a second that strengthens measures to stop impaired driving. It would allow people to possess up to 30 grams of dried or fresh cannabis and sets the minimum at 18 years of age, though provinces and territories can set a higher legal age. Consumers can grow up to four plants at home or buy from a licensed retailer. Dried and fresh pot and cannabis oil will be available first, with edible products to become available later." The New York Times tweeted the report. As I have repeatedly said, I am not in favor of legalization I am in favor of decriminalization. We have way too many people that smoke way too much pot but throwing people in jail for smoking pot is just plain stupid. Nevertheless, I concede that Justin Trudeau was elected on a campaign promise to legalize pot and I acknowledge that. A few details still need to be worked out. I don't like the idea of pot being sold at liquor stores or at pharmacies. I have no problem with all the BC Bud shops that have opened up. I support small business not corporate monopolies and I like he idea of keeping the industry separate for those of us who dont want to be involved with it and don't want to have second hand smoke imposed on use. All smoke is bad for you. That is why the leading cause of death in house fires is smoke inhalation. On the New York Times tweet someone posted two pictures of pre-cancerous growth on vocal cords of marijuana smoker and asks Why legalise something that causes harm? Cigarettes are harmful and they're legal. Let's just make sure that pot smoking is banned from public areas like cigarette smoking because pot smoke is even more cancerous than cigarette smoke. CBC is also reporting that "Police warn organized crime, including the Hells Angels, has infiltrated the medical marijuana market". Big surprise. Legalizing prostitution in Amsterdam didn't remove the Hells Angels from taking over the industry there. Letting people have 4 plants at home makes sense. Legalizing pot and forcing consumers to buy it from a corporate monopoly is no different than organized crime. My only question is why only 4 plants? Let's not over regulate. Lets support small business and free enterprise. 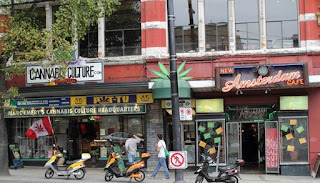 In fact let's allow them to sell pot at the Amsterdam cafe and Cannabis Culture on Hastings street. Right now they are not allowed to because the Hells Angels that run the Black door and the Bulldog cafe across the street won't let them. 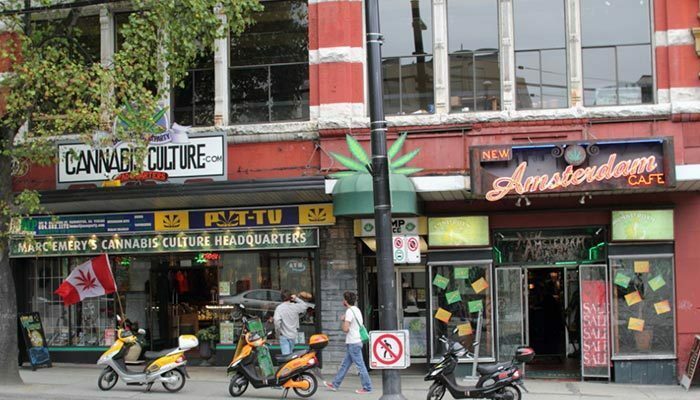 I doubt the Hells Angels will ever let them sell pot at the Amsterdam cafe even if the government allows them. That is the root of the problem. having watched kids go to jail for M.J. back in the day, including kids I knew, now in my old age, that will change and I'm good with that. 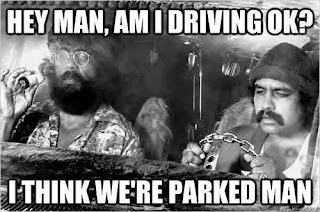 Weed ought to not be controlled by big business, but they have already made in roads because of the large legal grow operations which pay their staff peanuts while they rake in the millions. "On the New York Times tweet someone posted two pictures of pre-cancerous growth on vocal cords of marijuana smoker and asks Why legalise something that causes harm?" For the simple reason the Liberal government feels it needs the potential tax money. Indeed. That has also been one of the arguments for legalization.